Attention is what visitors pay to your blog if they find your content creative, interesting, original and inspiring. However, one of the realities of blogosphere is that people don’t stay on any page for very long. But how do they understand that your content really rocks? Usually, a Web user scans a page and decides within a few seconds if it’s worth staying on it and reading further or not. That’s why it is of vital importance to grab a reader’s attention by all possible means. The best blogs not only include amazing content, but they also look good. They invite visitors in to read more because they’re visually appealing. Fortunately, there are some easy tricks you can use to make your blog posts look great and grab visitors’ attention to your content. A catchy title is 80% of your success. If it’s catchy, intriguing or provocative, it will surely impel visitors to click on it and start reading. Don’t be afraid to experiment with titles on your blog and measure the feedback. You may make use of lists (Top 10, Best 5, Ultimate 7, etc. ), How-To’s, showdowns (e.g., iPhone vs. Android). SEO specialists recommend you insert such words as killer, amazing, fantastic, surprising, staggering, tempting, unexpected, astonishing, remarkable, wicked, viral, or epic in order to play on readers’ emotions. A good image can really save a not-so-good post. It’s an unwritten rule to insert a visual element at the top of each post. Additionally, you may add throughout the post in order to break up heavy text passages. Still keep in mind that your pictures should be directly related to your post, otherwise your readers probably ignore them. Besides photos, you can use screenshots, diagrams, charts, graphs, illustrations, and more. Just be sure to use images that are copyrighted in a way that allows you to legally publish them on your blog. Clear paragraphing will definitely improve the way your article is perceived. Use subheadings, so that your readers could scan through your content and find the sections that interest them. Subheadings also help avoid unnecessarily strained transition sentences between passages. 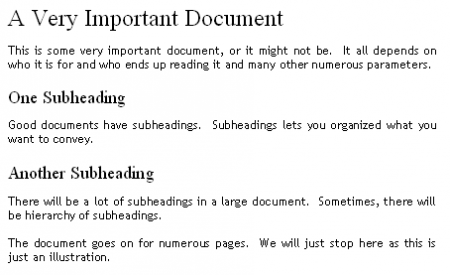 Be sure that your subheadings correlate with the text following them. This simple and effective tool is unfairly often ignored by bloggers. Use bold to highlight points of special insight, but don’t abuse it. Bold isn’t good in the introduction, either, since it’s usually read by most visitors. It’s also a good practice to highlight the key findings of your article in bold. About the author: Elena Vakhromova is an IT enthusiast and tech writer. She works at Freemake.com, a developer of free solutions for video conversion and YouTube to MP3 download. I aspire to be a prominent blogger and I’m looking for some ways to attract more attention on my blog. Good thing I read this post. Now I have an idea on what to do for readers to keep reading my blogs. Very helpful post! I’m also having a hard time in catching the attention of my viewers. They usually don’t stay long when visiting my site. Good thing you posted some tips on how to grab the attention of people. I’ll definitely do my best to keep them stay interested in my blogs. Keeping the customers stay on your blog for so long is one of the problems of bloggers. Good thing you listed some tips on how to grab the attention of the people. I will take note of these tips so that I already know how to keep my readers visit my site more often. I just keep on posting interesting topics that people, especially moms, will find unique and interesting to read. I’m thinking of putting up a video blog of some quick tutorials or some photos of finished products that I will share on my blog to make my readers feel the excitement of trying it out. I’m eager to have a lot of readers. I felt disappointed whenever I notice that I don’t have many viewers. I admit that it is really hard to keep the people to stay on your blog for so long. I’m confident that people will get fascinated with my fanfic blog. Although I admit I still get a touch of nervous every time I try to write a blog.